Best time to go to the Boardwalk? When it's early in the morning before it opens! Couple of days ago, we took a little detour down to Santa Cruz to avoid the rain (even though the forecast totally lied and it didn't even pour). The lighting was great though because an overcast sky makes the most perfect natural filter for shooting photos! Once again, I am rocking some stripes because I love stripes and you simply can't go wrong with it. 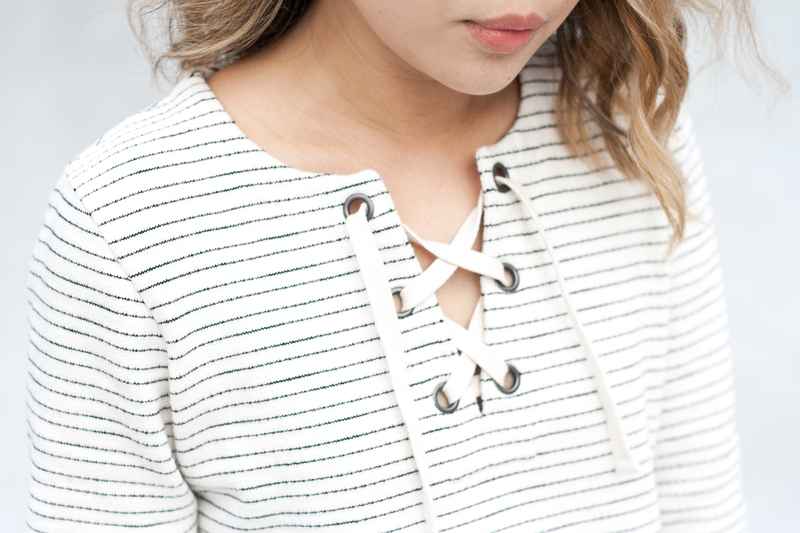 I especially adore the laced details of this top from Madewell! I paired it with a denim mini skirt, suede booties by Jack Rogers and my monogrammed leather crossbody from Fossil. Can't wait for another weekend adventure! 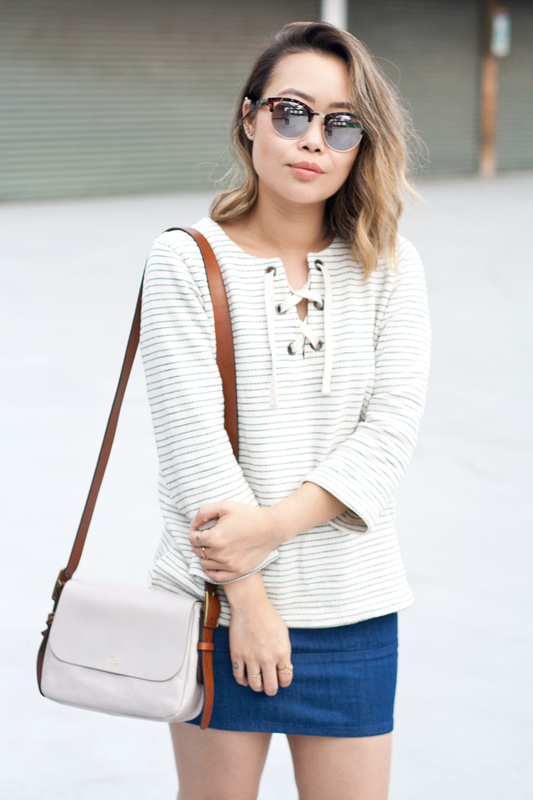 Stripes laced up top c/o Madewell. Denim mini skirt (old) c/o Charlotte Russe. 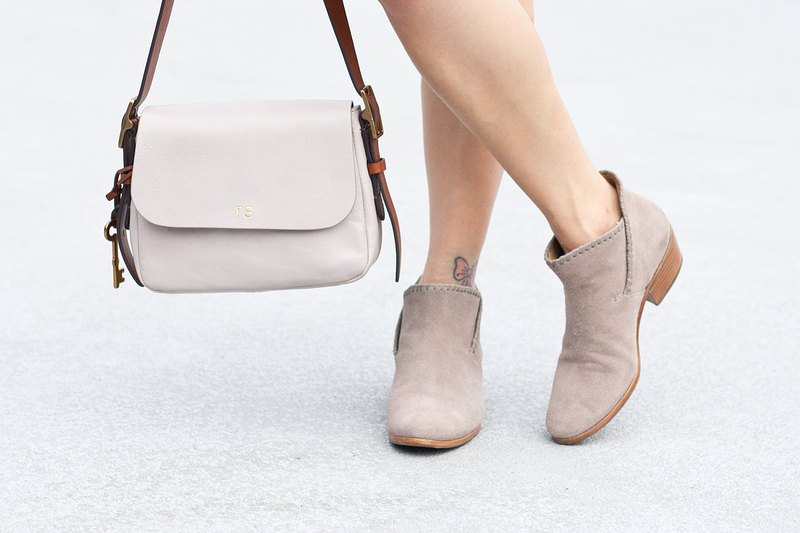 Suede booties c/o Jack Rogers. 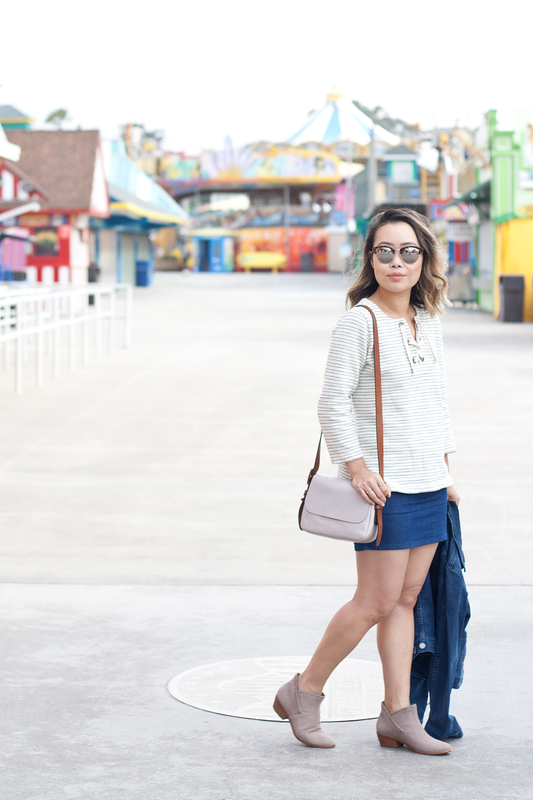 Monogrammed leather crossbody bag c/o Fossil. Denim trucker jacket from Levi's.